4 Pieces in a Pack. Assorted shapes. Perfect for parties, these fantastic shaped balloons are exclusive and will look great, decorating your party. Use them for decorations or put them in party bags as party favours at birthday parties. 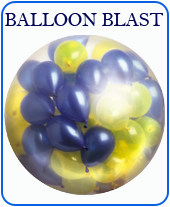 These cheery shaped balloons are helium quality and can be inflated with air or helium for the desired use. For inflating balloons, we recommend bubbly balloon pumps.